I LOVE to collaborate with others to bring fun stuff to you and today I have a brand new collaboration for you! May I introduce you to World Label, a great company fulfilling all your label needs. 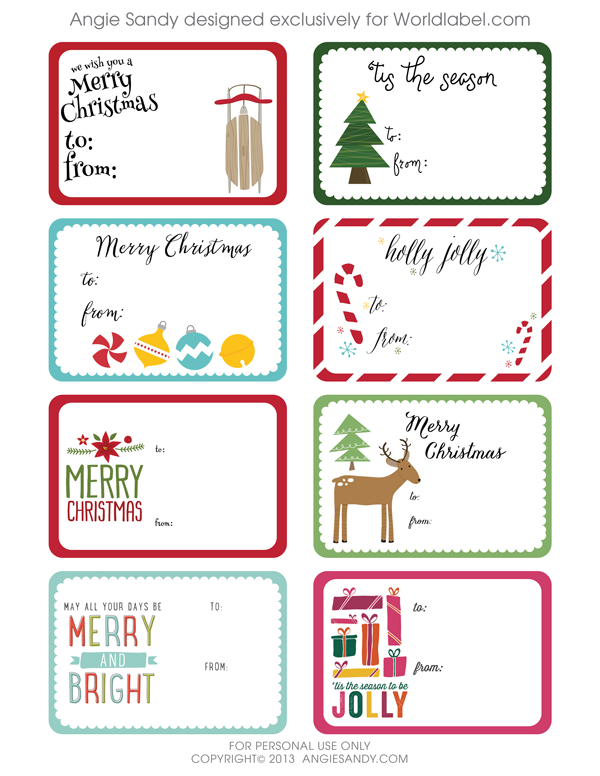 I had the pleasure of creating an exclusive set of free printable gift tags just in time for Christmas! 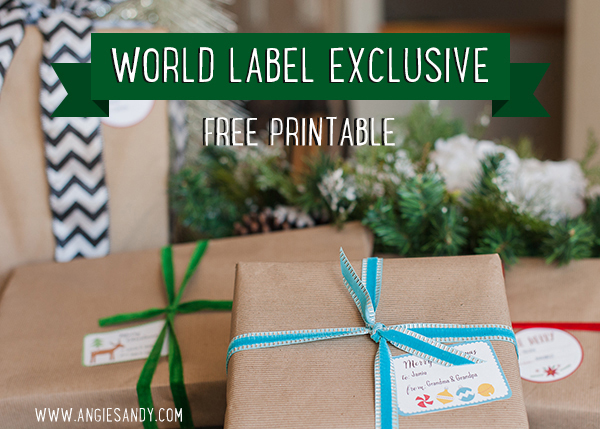 I created 3 separate label sheets which can be printed and you can hand write the name OR you can use Adobe Acrobat or Preview on your Mac to add the gift recipient information. This little cuties look perfect under the tree and help make the holidays just a little more simple! P.S. Make sure you check out their blog for loads of other great, free printable designs by talented designers!